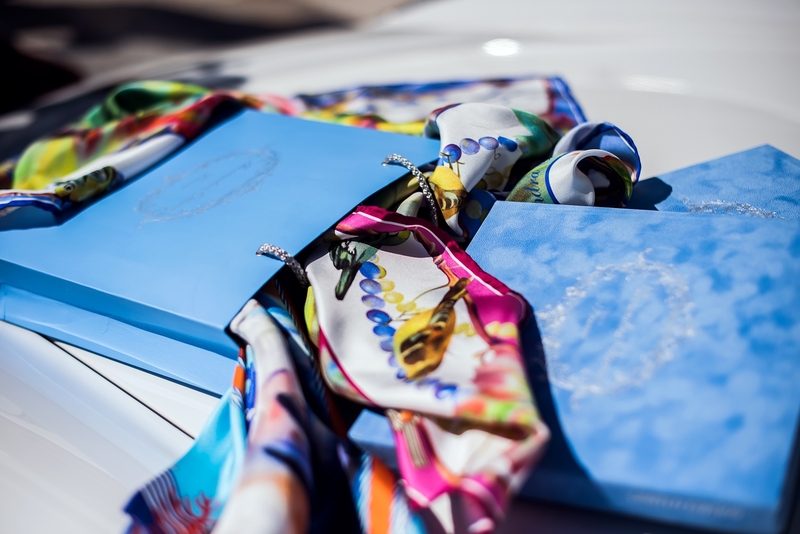 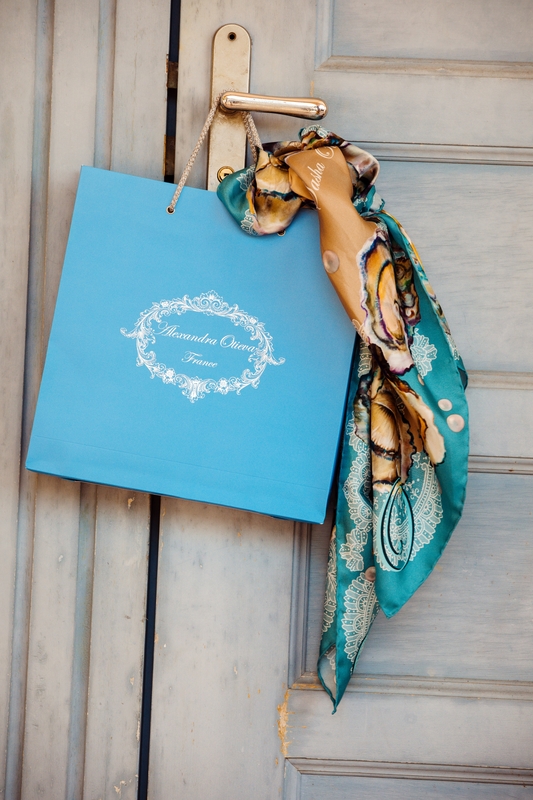 a scarf of the new collection “Sasha Otieva’s Exclusive New York Collection”. 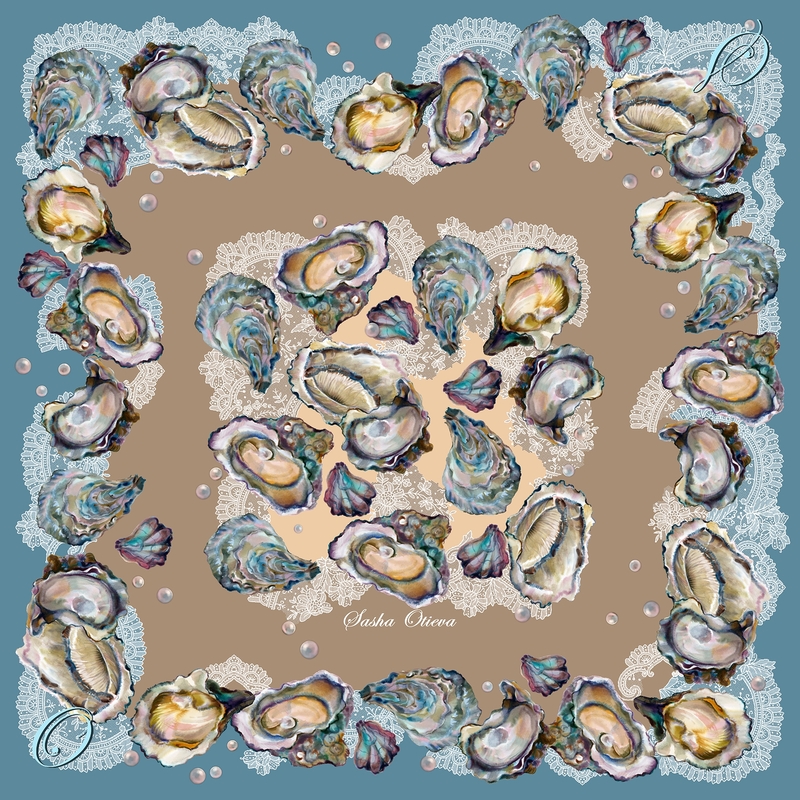 The picture “Oysters” was artistic basis of the scarf design, it’s filled with nature eroticism and voluptuous beauty, deep symbolism and love. 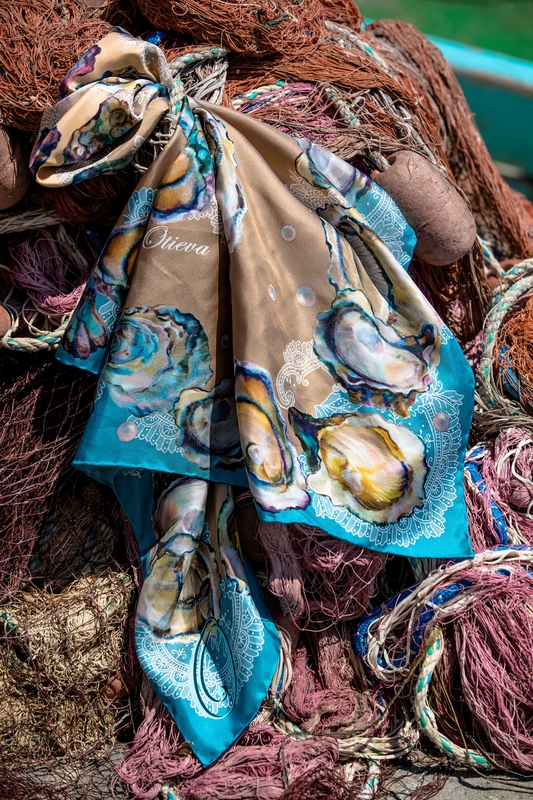 According to an old legend, Aphrodite – the goddess of Love, who was born of the sea foam, descended on shore from the sea shell. 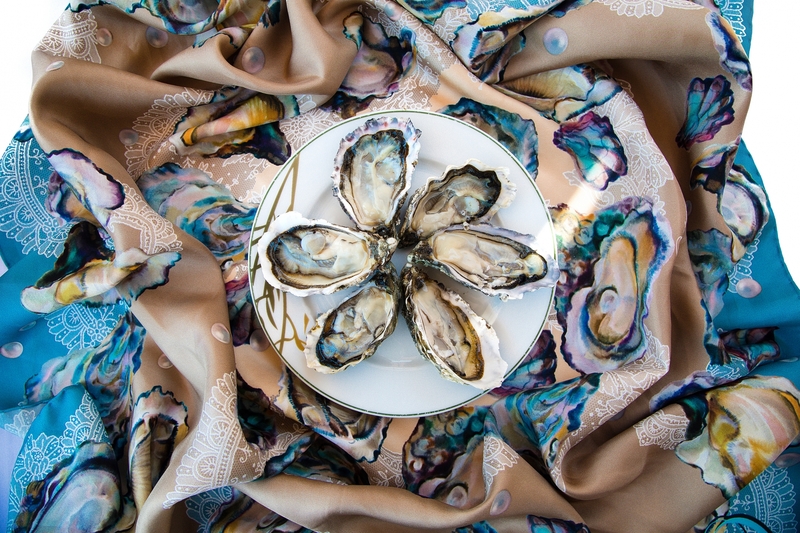 It is also believed that she rewarded the oysters with the unique aphrodisiac properties and possibility to literally give birth to pearls, which later made them the symbol of female sexuality and eroticism as well as the beauty which goes from within. 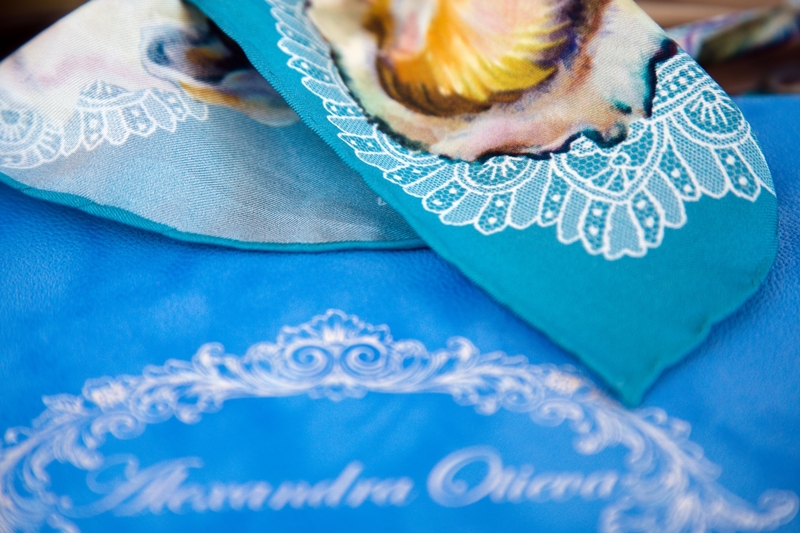 A pearl inside an oyster symbolizes female nature gift to fill their beloved ones with energy to bring their most bold plans and wishes to life. 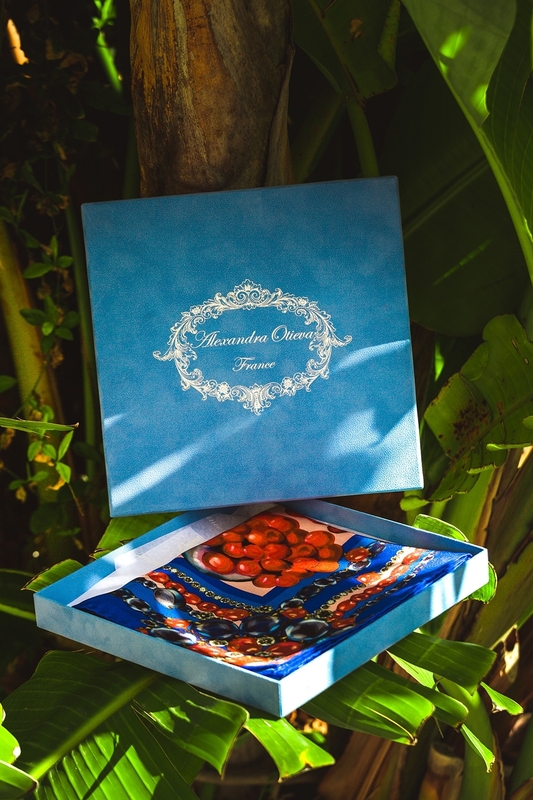 Voluptuous, exquisite, delicate, tender and passionate at the same time – those amazing women inspired the painter to create “Gift of Goddess”.